Beautiful hand-woven Tribal and Village Afghan Rugs and Carpets. Also we have flat-woven Afghan Kilims, handmade traditional Afghan Kilim Cushions. 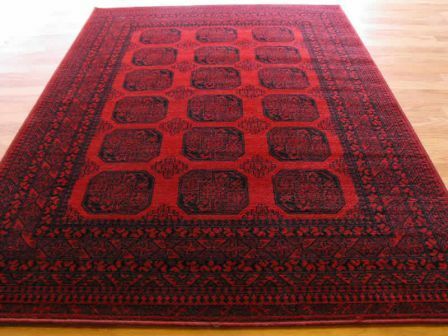 Afghan rugs are hand woven, mainly in Afghanistan but many are made by Afghan refugees in areas like Pakistan & Iran. Afghan rugs are a fine way to energize the look of your interiors and give your home a lift up. They are a very good way to bring to notice your unique sense of style and elegance. Vibrant, ornate and suave, they bring international fashion to your home. The weaving skill of the people of Afghanistan led to the rise of rug making in Afghanistan. Various tribal and ethnic groups make rugs in Afghanistan. A huge majority of Afghan rugs are assembled in northern and western Afghanistan. The rugs of Herat region and Baluch region are most famous. 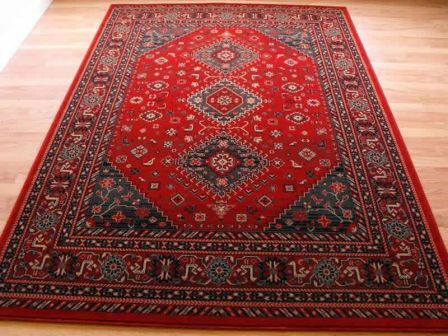 Traditional rugs are hand woven and require a good deal of time to complete a single rug. Modern rugs are both hand woven and machine made. Wool is the material with highest use. Cotton and silk rugs are also woven in large numbers. Use of natural colors is the distinguishing characteristic of the rugs. Many types of natural dyes and vegetables are utilized to bring out vivid and lively colors. Many types of patterns, designs, colors, weaving styles are employed in the rugs. Peculiarly prolonged human and animal shapes are their trademark feature. The classic pattern is the octagonal elephant’s foot mostly seen with a red background. Nomadic lifestyle is also sometimes portrayed in the rugs. The rugs are mostly of medium size. Rug Store has a large collection of the best quality Afghan rugs that will definitely delight you. Our collection is one of the very best and highly acclaimed in London. Once you shop with us, you will know the difference for sure. We look to establish a lifelong relation, not only one time buys. We are available round the clock and our dedicated staff will find the best rug suited to your taste and budget.